Herb Caen got it right—San Francisco is a magical city. From the Golden Gate Bridge to Alcatraz to the famous painted ladies, there’s a reason people leave their hearts here. 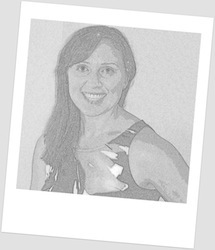 In Legacy, Lex describes her first view of San Francisco as “surreal, as if each building had been carefully crafted from clay and arranged alongside the ocean by an unseen hand.” My own love-at-first-sight story was not so different. I arrived in San Francisco on a blustery day in October 2001 to interview for graduate school and took my inaugural drive across the Bay Bridge. Looking out the window at the city by the bay—wow!—it took my breath away. I knew right then I would live here. 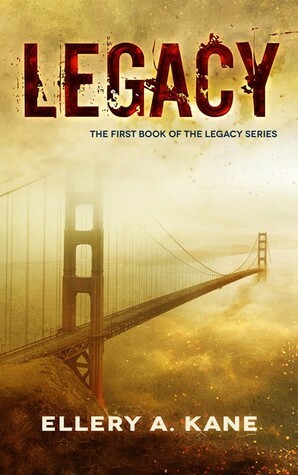 Thirteen years and one doctorate degree later, when I began writing Legacy, there was no doubt it would be set in San Francisco. The ruin and destruction I imagined would be so much more powerful set against the backdrop of this idyllic city. I pictured Lex crossing the Golden Gate Bridge—deserted, only the ghost-white fog to keep her company—and entering the devastated city. Market Street, the hub of activity, now abandoned. An overturned cable car blocking her path. The BART (the city’s train system) shut down by order of the Guardian Force. And, worst of all, the Bay Bridge, bombed. In creating post-apocalyptic San Francisco, it was essential for me to capture all the city’s landmarks accurately. While I had visited each of the places mentioned in Legacy, including Coit Tower and Alcatraz, some more than once, I relied heavily on Internet research to be sure I got it right, down to the last brick and crumbling staircase. If you’ve never visited San Francisco, I hope Legacy will be your guidebook, and if you have, I hope you’ll enjoy the dystopian version of my imagination. The second and third books in the series also feature San Francisco and its neighboring city, Oakland, and there are even more landmarks and fun places to explore…including the secret tunnels that still run beneath San Francisco. Now, when I make that trek across the Bay Bridge—that same magical trek I made years ago—I see things a little differently. I picture Lex and Quin on the top of Coit Tower looking out at the city below. I catch my breath. And I know right then, this is home. Book sounds amazing! San Francisco is one of my favorite cities and I would enjoy reading the book.